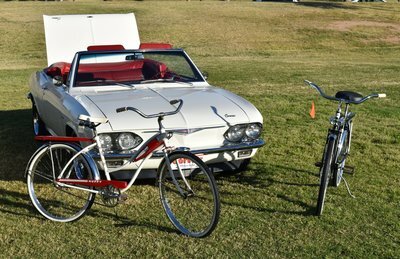 Many thanks to David and Marian Dean for organizing the 2017 Christmas Party! We had a great meal with friends and collected a car load of food and toys for local charities. 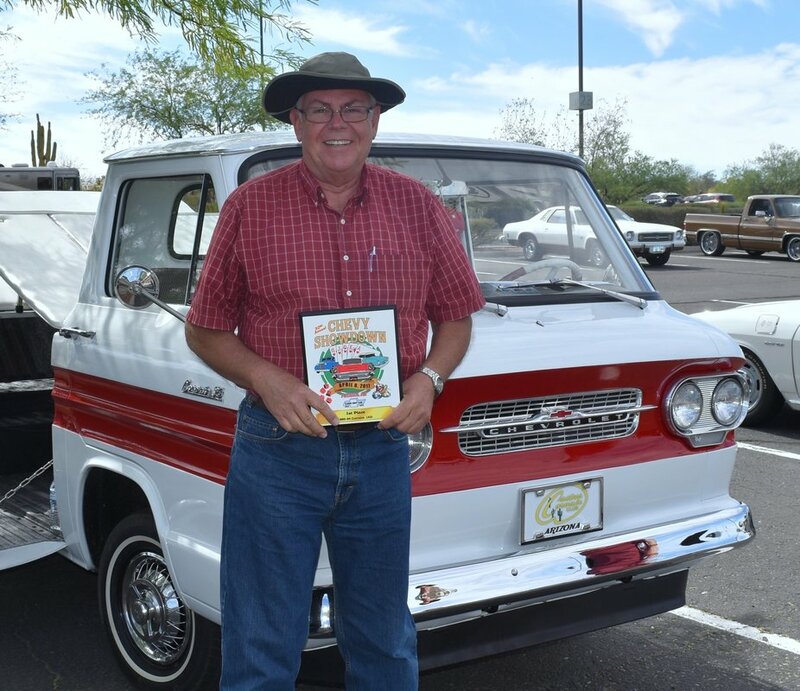 The food was donated to Paz De Cristo and the toys went to the Chandler Fire Department Toy Drive. The white elephant gift exchange was pretty mild with only a few gifts being "swapped" back and forth. 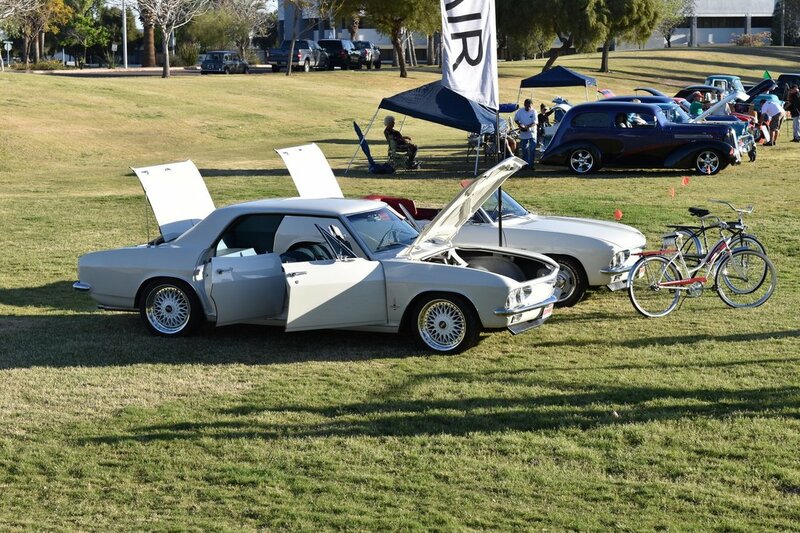 Hope everyone had a great 2017. 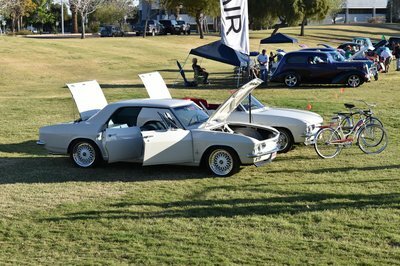 We held a brief December meeting to discuss upcoming 2018 events. 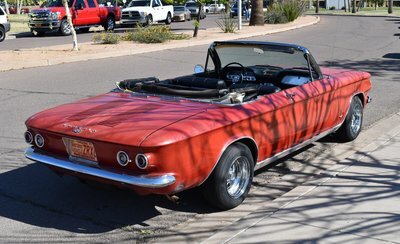 Next meeting is Jan 3rd. 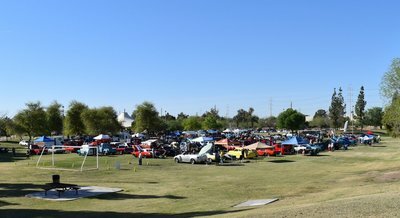 This was a small classic car show at the Cornerstone Church Believe Marketplace in Chandler near the 202 and Alma School Rd on Nov 3rd. It was set up as a indoor/outdoor marketplace for crafts and treasures and they added a car show to the event. 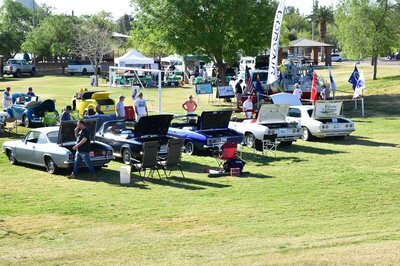 There were food trucks, a live band and lots of family friendly things to do. I don't know if they will host another or not. 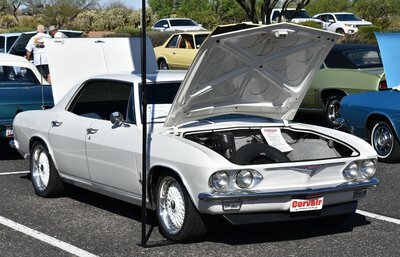 Search "Believe Marketplace" for more info. Bob and Barb were there along with David and Marian and Dave and Cathy. It was a very nice evening to shop a little and show off our Corvairs. 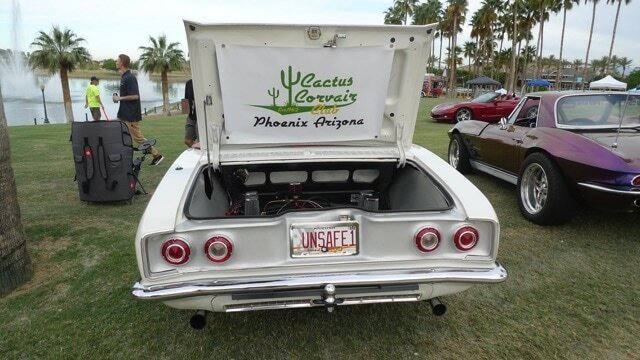 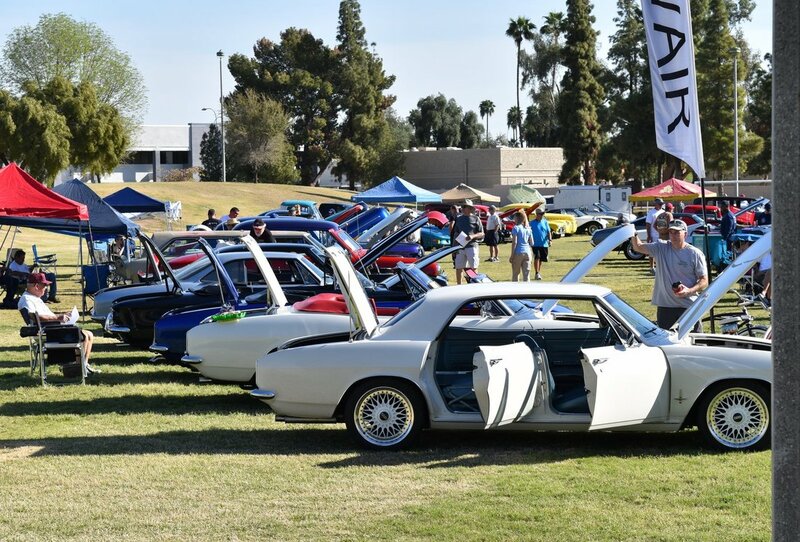 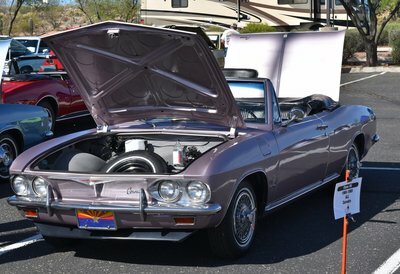 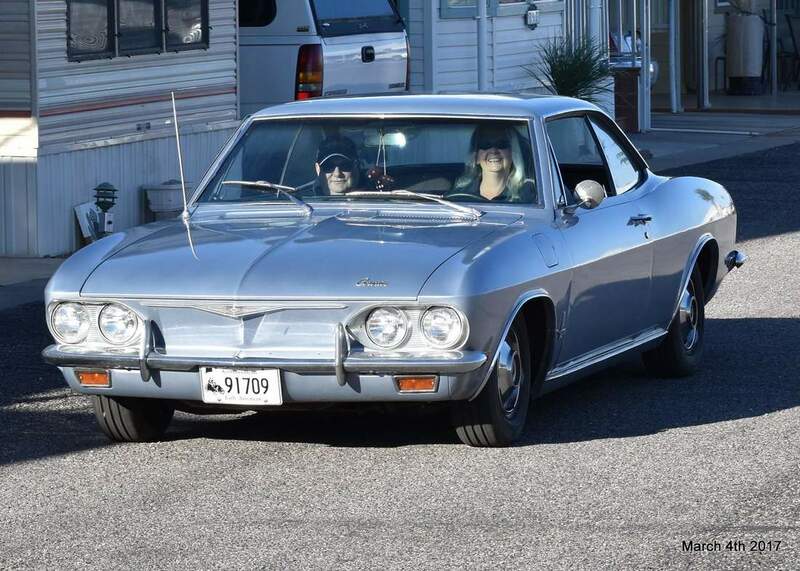 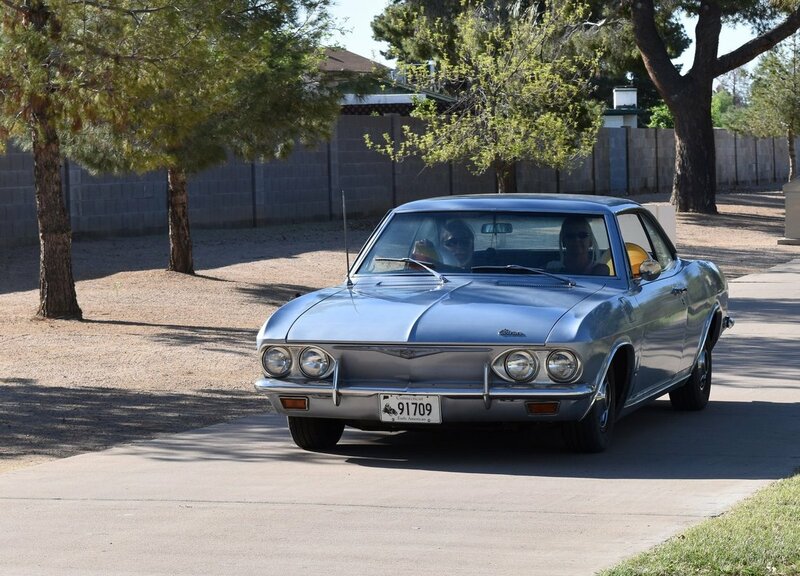 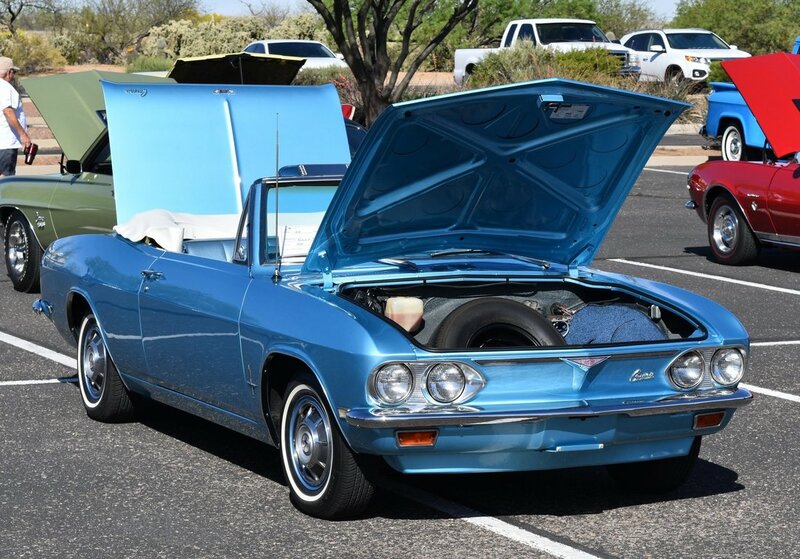 Three Cactus Corvair Club members with their two Corvairs entered the Trunk-or-Treat style car show in Glendale on Saturday Oct 28th. 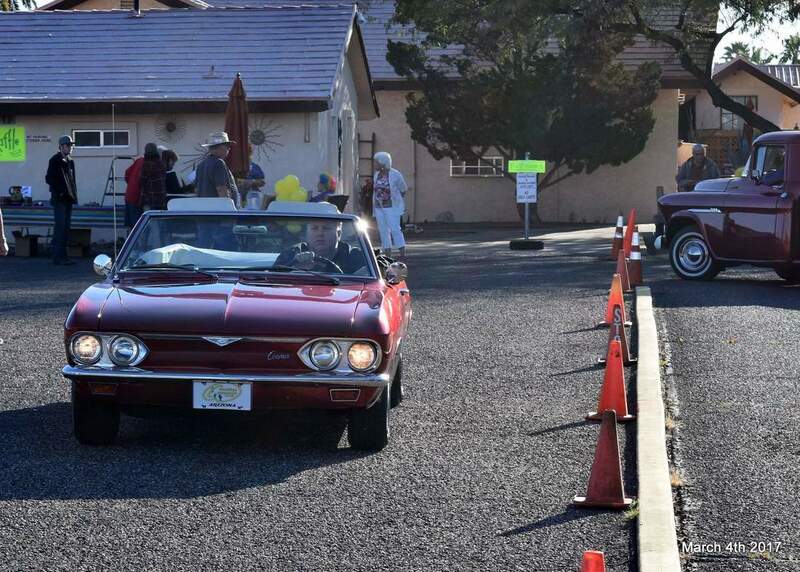 There was a costume competition as well as a vehicle competition for class trophies. 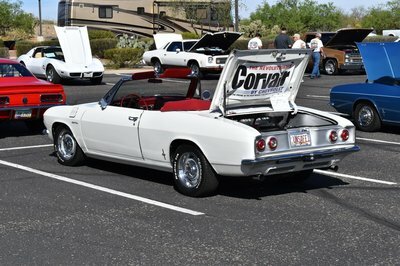 Entrants to the show got a nice T-shirt as well as some other goodies like a small insulated lunch bag with some Gatorade bottles inside.The weather was great and lots of little ones came by to show off their outfits and get some treats. 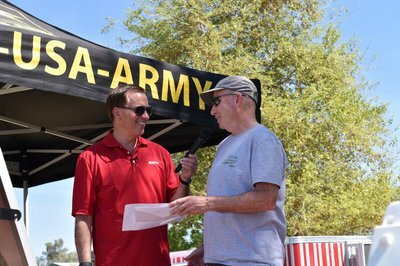 The show had a live band as well as a DJ in conjunction with KFYI. Many vendors were also on site with auto-related items as well as lunch items and treats. 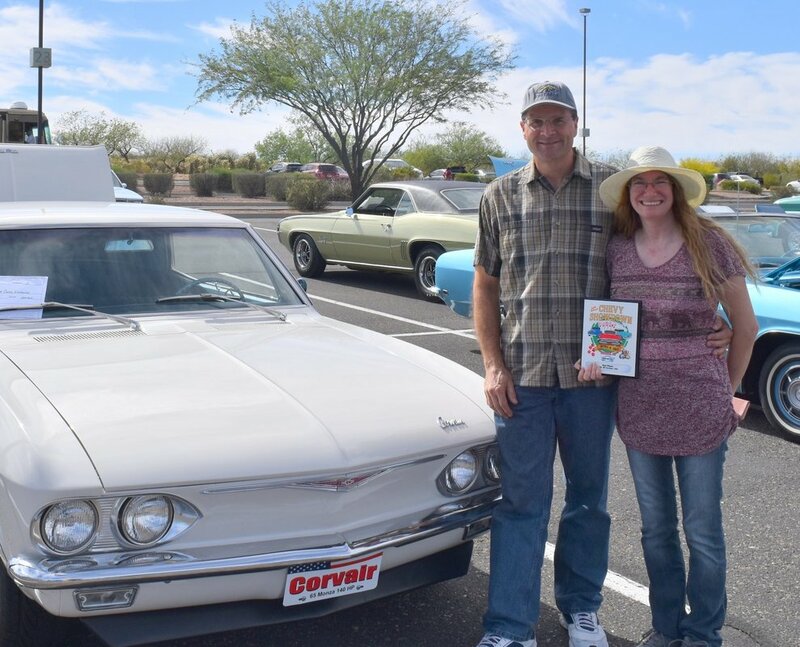 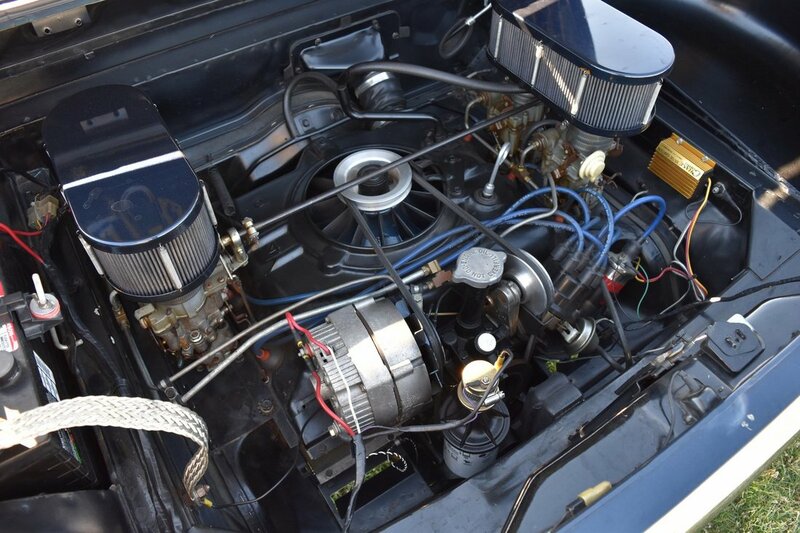 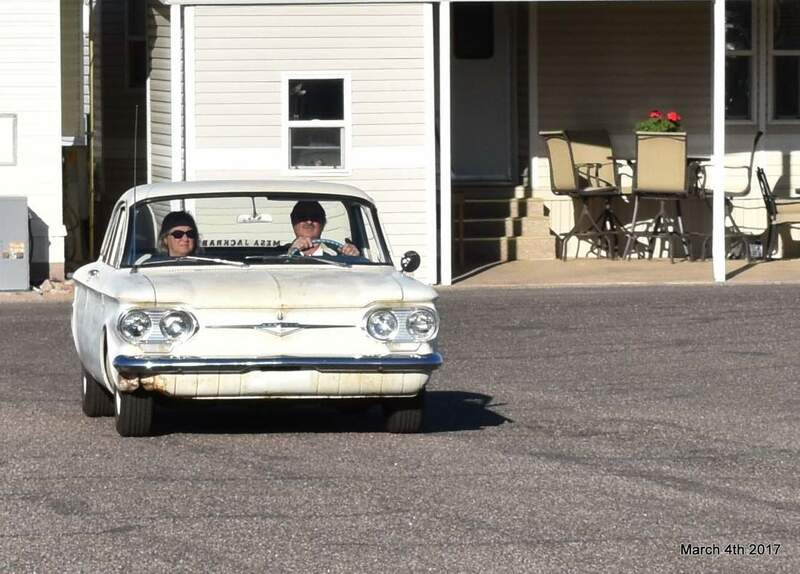 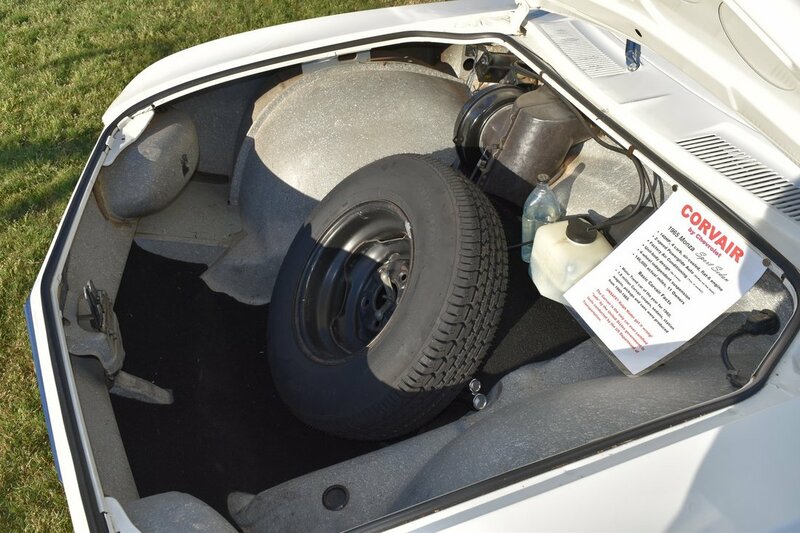 During the show, Dave, Cathy and Miner answered all the usual Corvair related questions and many people commented that they were happy we brought out our Corvairs as they usually don't see them. 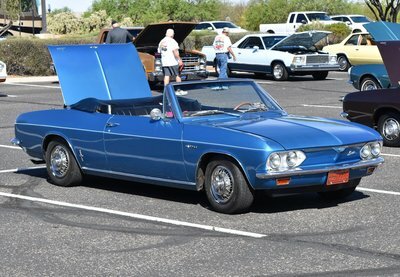 Miner was interviewed at length about his Rampside pickup. We expect to see that video interview online in the very near future. 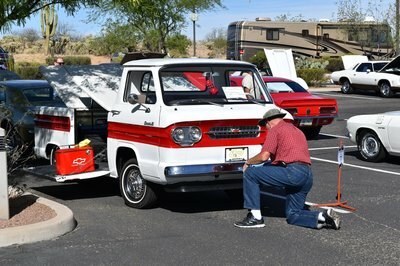 The hostess and photographer spent about a half hour going over all the details and filming the truck from many perspectives. 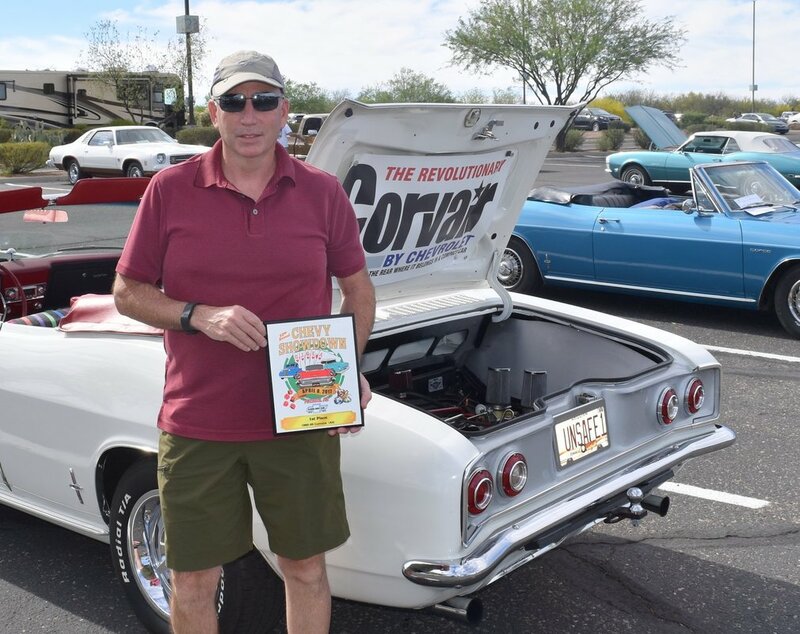 9th Annual Corvair Anniversary Car Show Oct 14th 2017 Photos by Chuck R. and Dave W.
​On Sunday, October 8th, six Cactus Corvair Club members attended the Aircooledaz.com Cars-n-Coffee gathering at the Paradise Bakery in Biltmore Fashion Park. 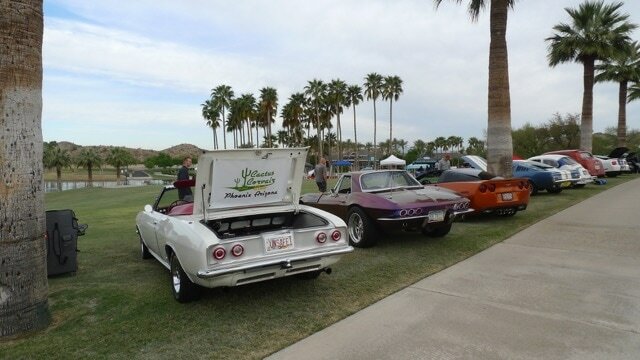 David D. and Chris S. met Dave and Cathy W. in Mesa and caravanned to the event from US60 and Country Club. 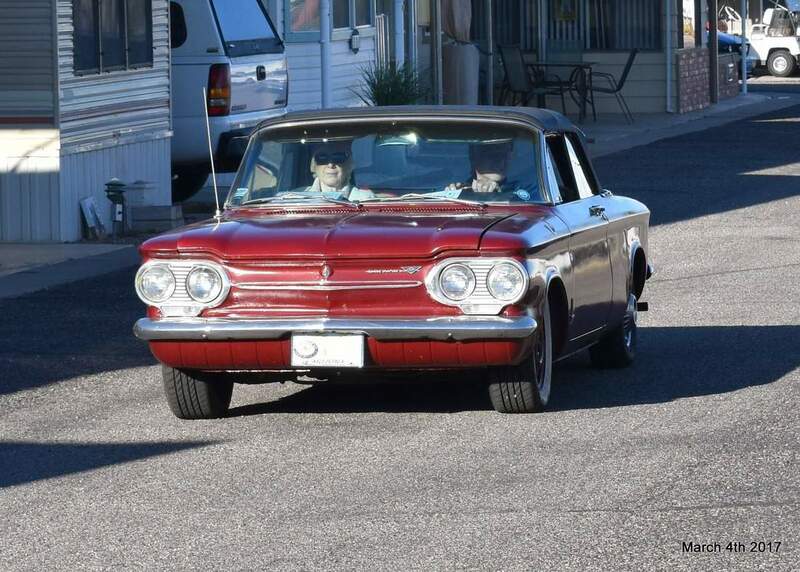 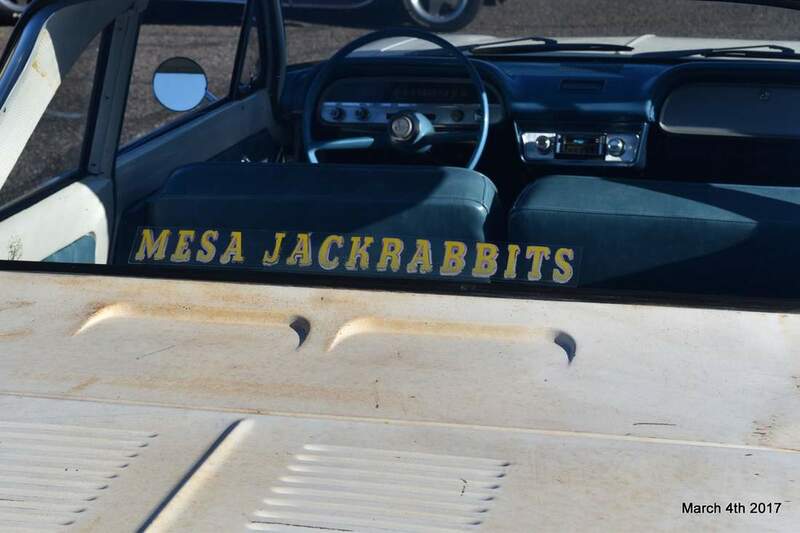 New club VP John H. and his wife Christian live in the Biltmore area and also joined us in their 66 Corsa. 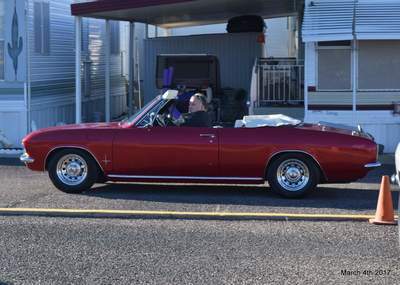 Former long-time club member (and one the many past owners of our 65 4-dr), John P., met us there with his freshly restored Devin C. His friend Brain M.also bought along his red Devin C which used to belong to now departed club member, Tom Schrum. 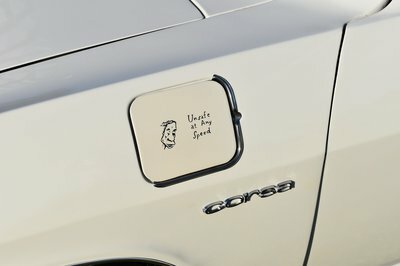 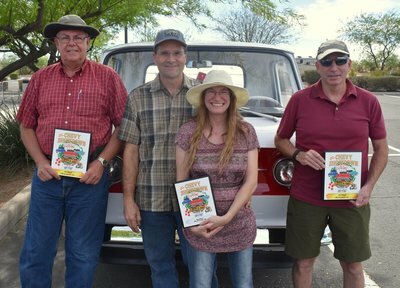 Those Devins had just attended the Quail Meet in California and also are featured in the latest CORSA Communique magazine. 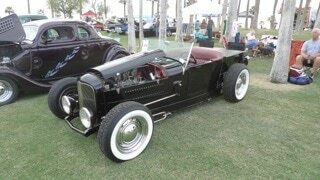 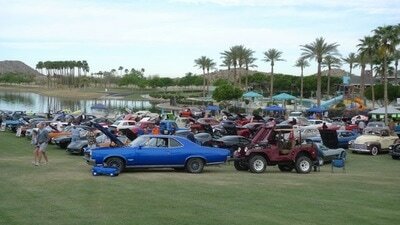 32nd Annual Chevy Showdown April 8th Tucson AZ. It was a warm, windy day at the Desert Diamonds Casino in Sahuarita (20 minutes south of Tucson). 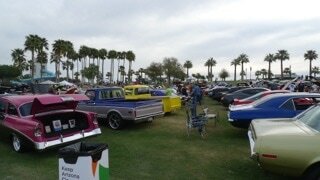 It was a great show and we even had a little picnic spot right next to the cars where we could hang out in the shade. 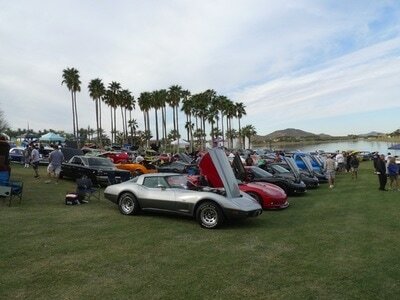 The Tucson club members were very welcoming hosts to those who drove down from Phoenix. 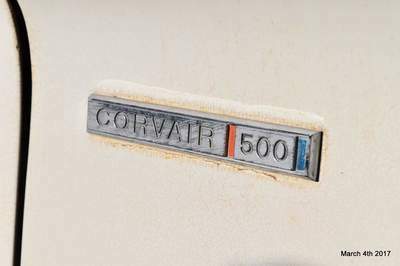 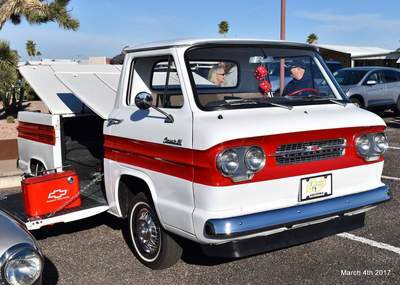 The Corvair caravan arrived right on time and had a safe journey there and back. 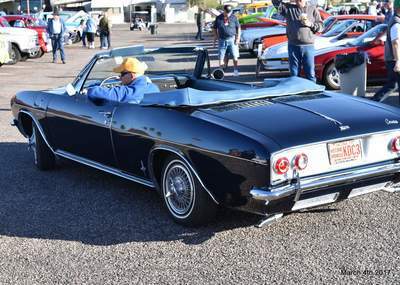 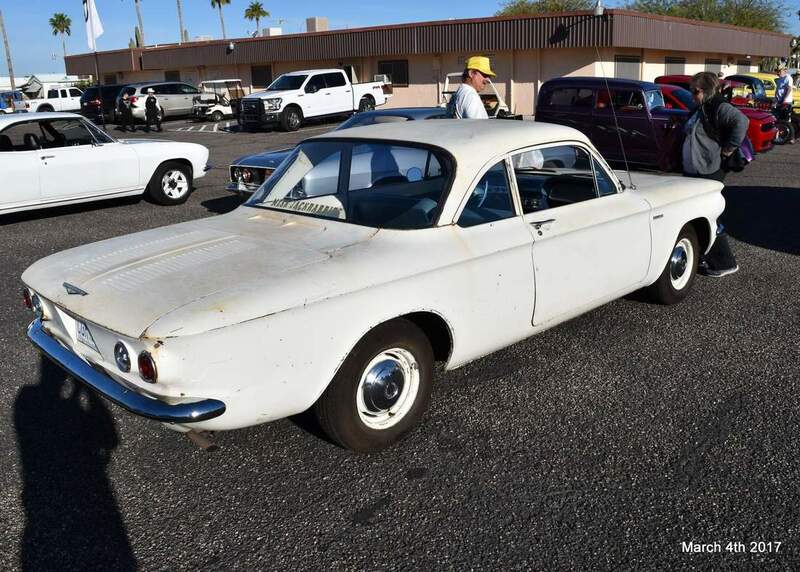 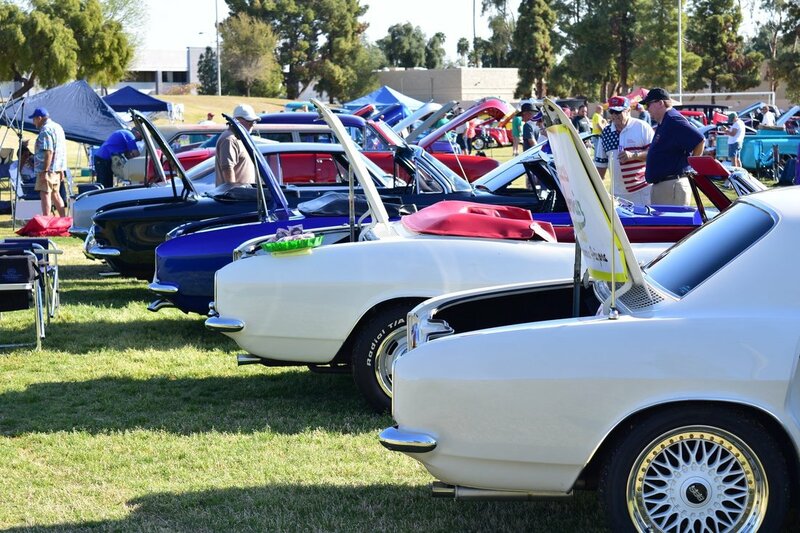 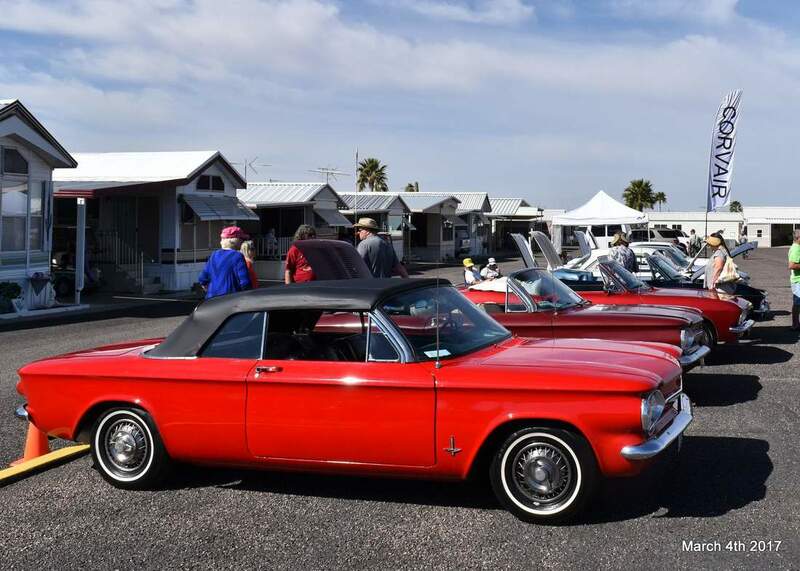 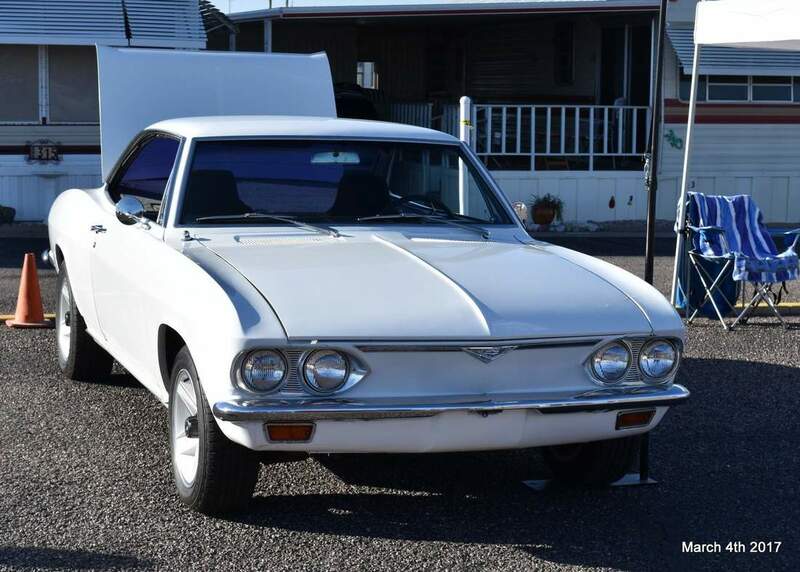 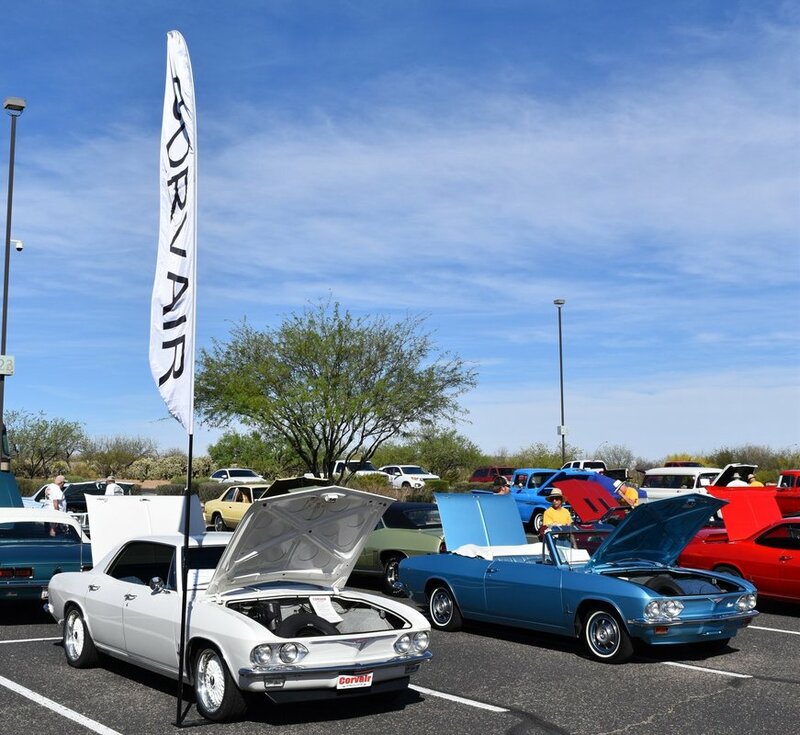 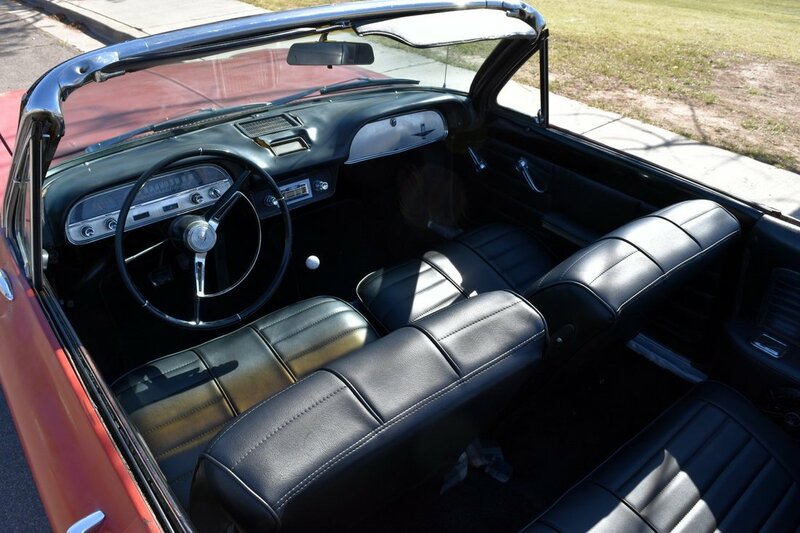 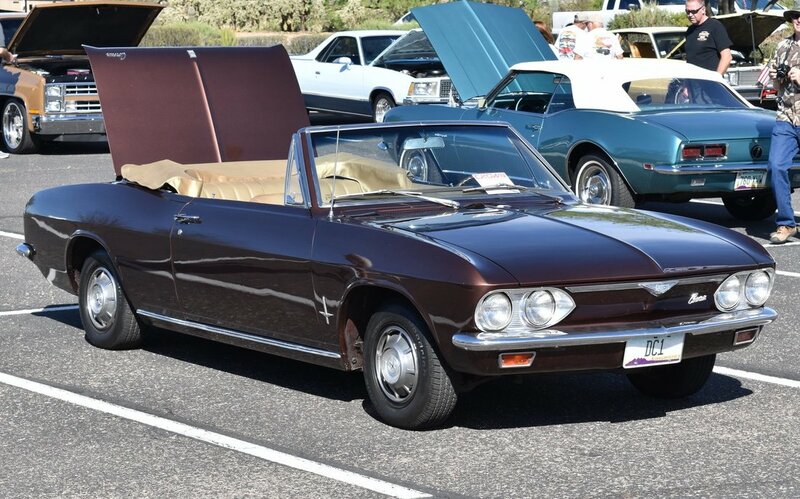 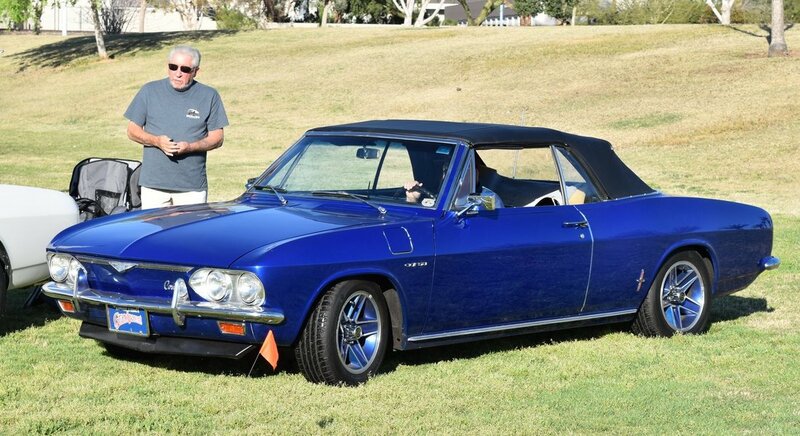 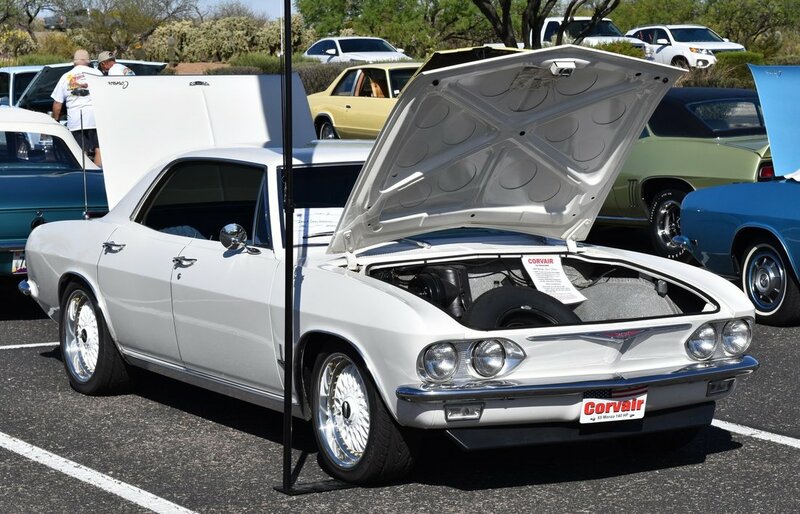 Three of the four Corvairs appearing from the Cactus Corvair Club won awards. Miner and Joe received First Place awards and Dave and Cathy got a Second Place. 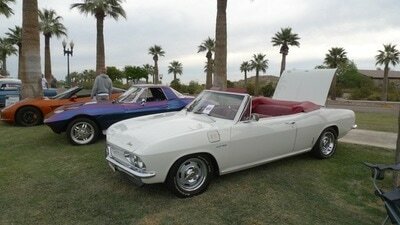 John H and his wife also joined us with their 66 Corsa vert. Miner had a lucky day with multiple raffle prize wins. 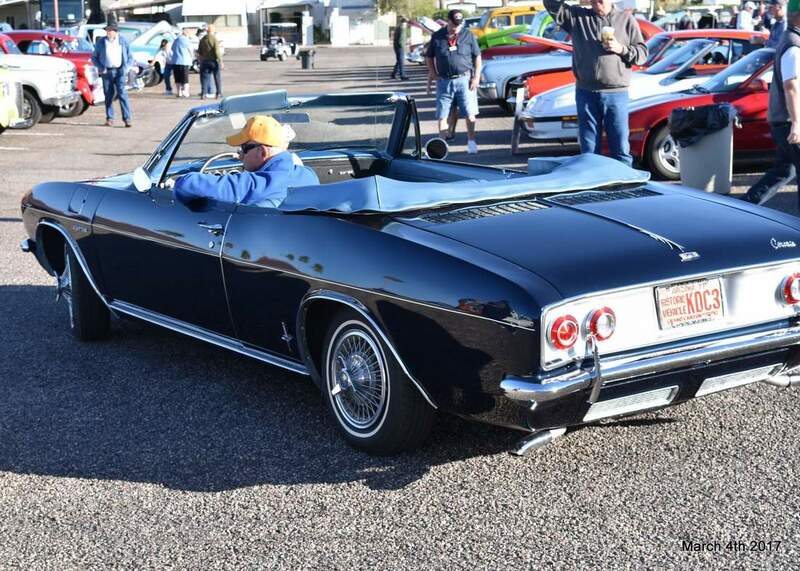 CruiZ'n to the Lakes March 25th by Joe L.
It started out with a cold ride over to Goodyear AZ on a early Saturday morning, but the ride was worth it. 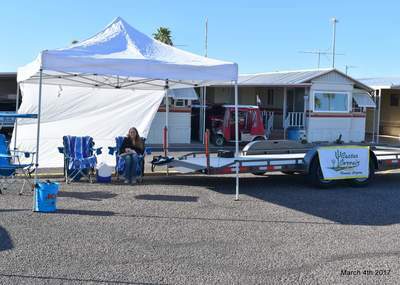 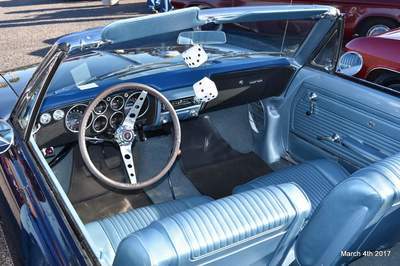 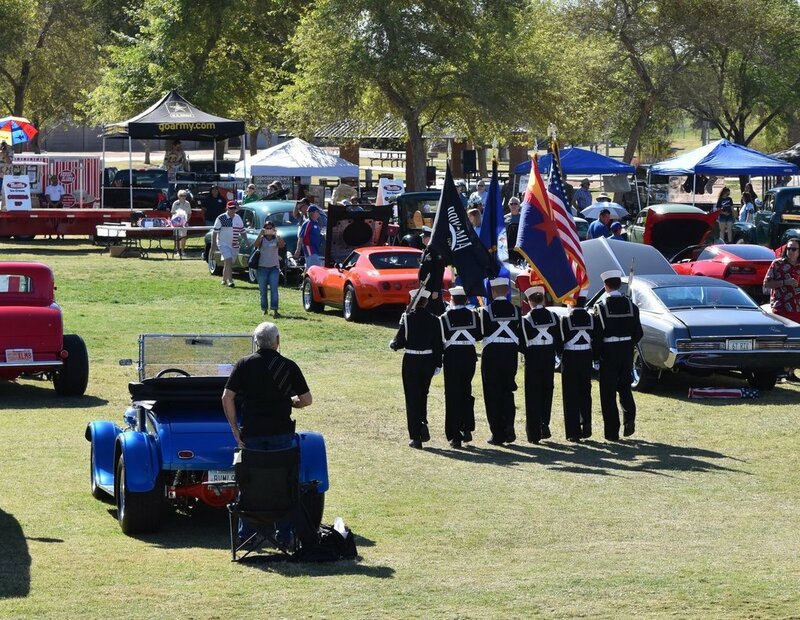 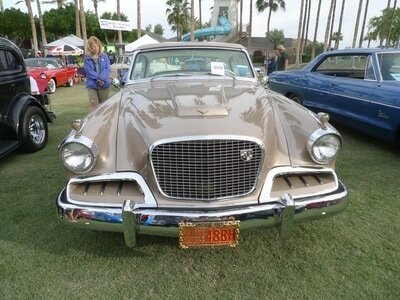 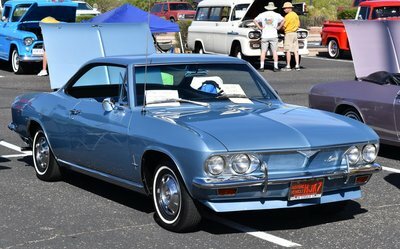 This was the first car show for the Estrella Mountain Car Club so they did not know how many cars would be showing up. 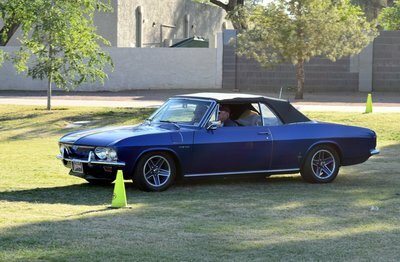 I left my house at 7:00 am as the registration was at 8:00 and the show was starting at 9:00. To my surprise when I arrived at 7:45 there were well over 100 cars and by the end of everyone staging I think the count was between 225 and 250 cars! What a great turnout for a first show. I asked one of the club members when people started to show up and he said “before 6 AM”. 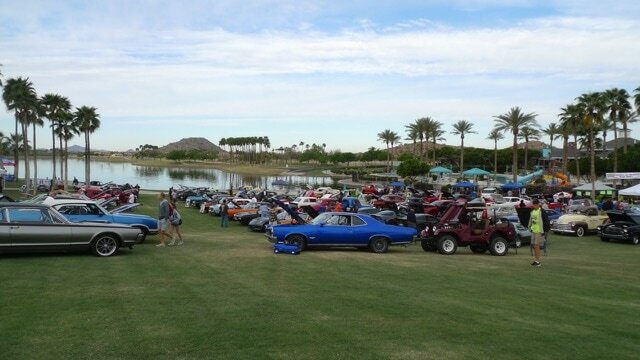 People just wanted to get a great spot surrounding the lakes at Estrella. Even arriving at my time I was able to park on the lawn overlooking the lake. 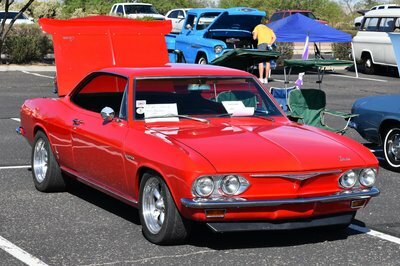 I was the only Corvair at the show and had many people looking over the car and asking questions. I was also lucky with the raffle prizes as I won three of them, but one was an oil change from a local show so I gave it to the truck next to me. I would like to see if a few of us can make the show next year as I really enjoyed it. 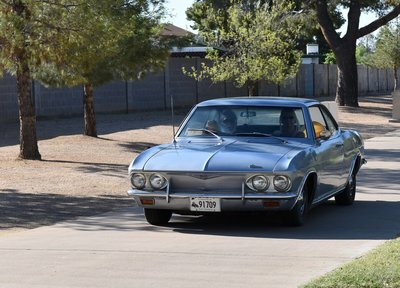 I had a good laugh at one of the cars as he had proof of more then 12 free batteries due to the warranty from one of the local shops. 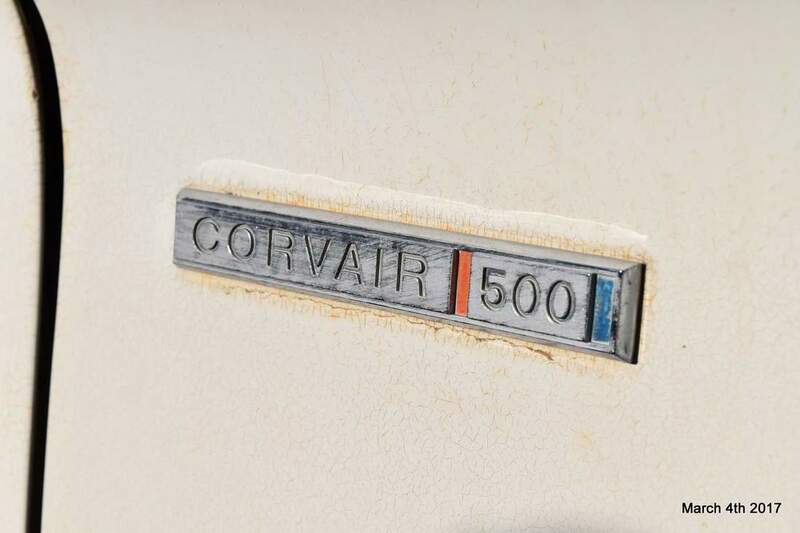 I guess they gave out good warranties in the 70’s. 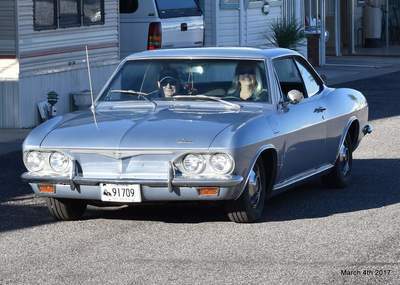 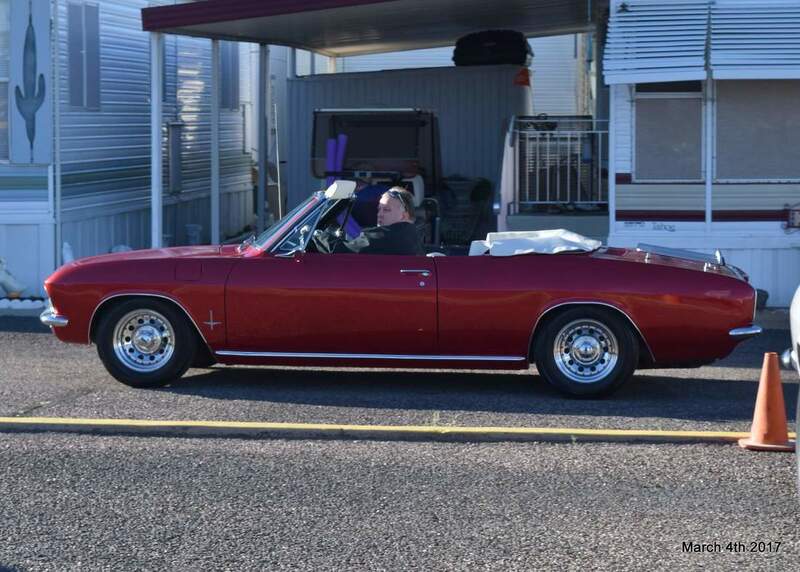 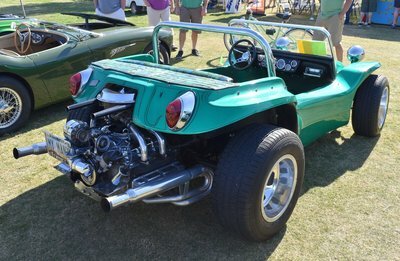 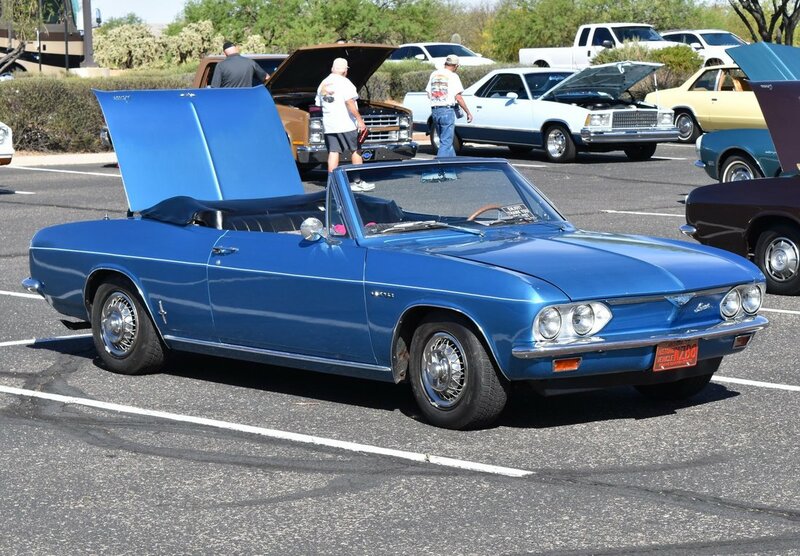 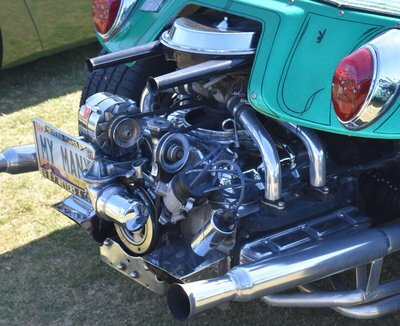 13th Annual Catch-A-Wave Car Show March 18th Kiwanis Park by Dave W.
We had one early model and four late model Corvairs entered in the show plus there was a 140 HP Corvair-powered Manx dune buggy. 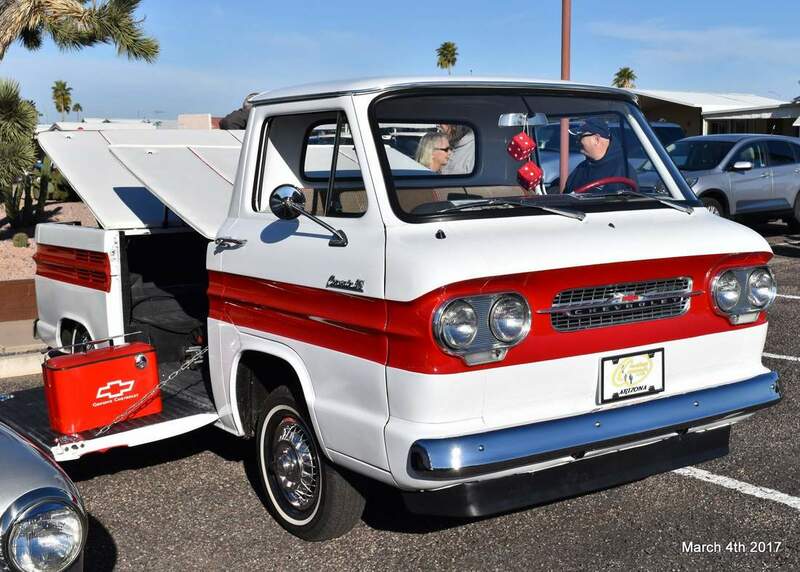 Manny and Dollie arrived later in the morning with their early model (sporting new upholstery) but they did not enter the show. 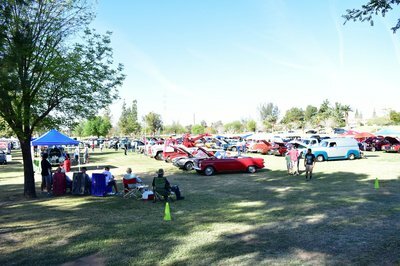 It was a bit warm for mid-March but there was good shade nearby and since we were parked on the grass it was not too bad until after lunch. 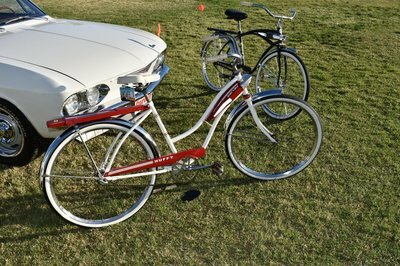 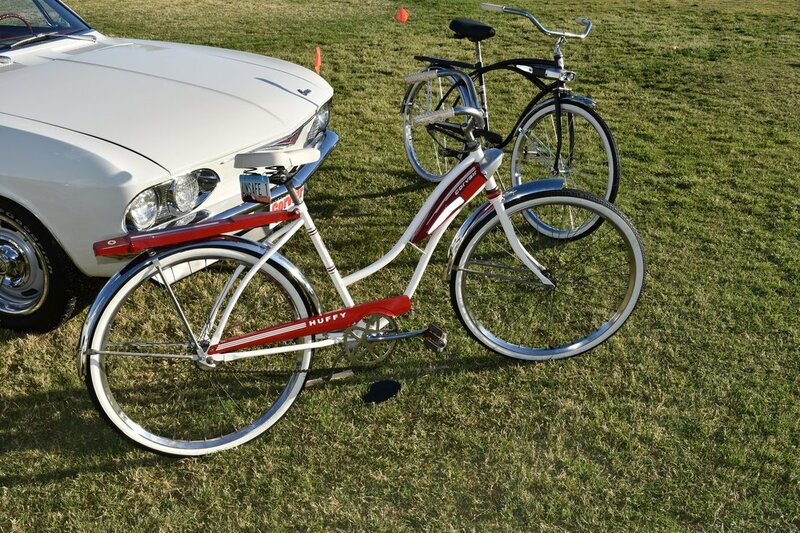 Joe brought both of his restored Huffy Corvair bicycles to the show towed behind his 65 Corsa convertible. 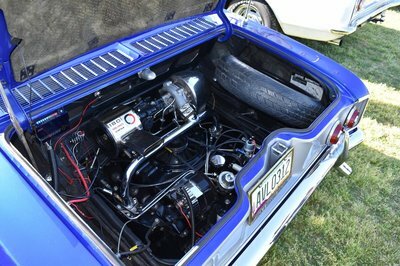 Richard attended again this year with his beautiful 65 Corsa turbo convertible. 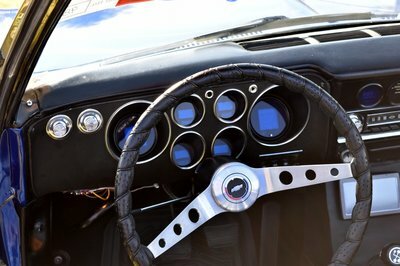 He was showing off his new Digital Dakota gauges. 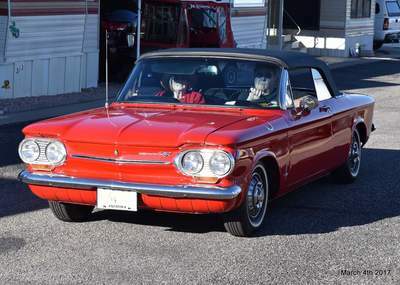 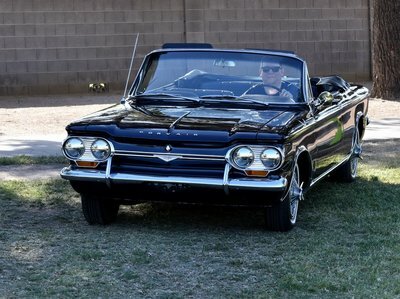 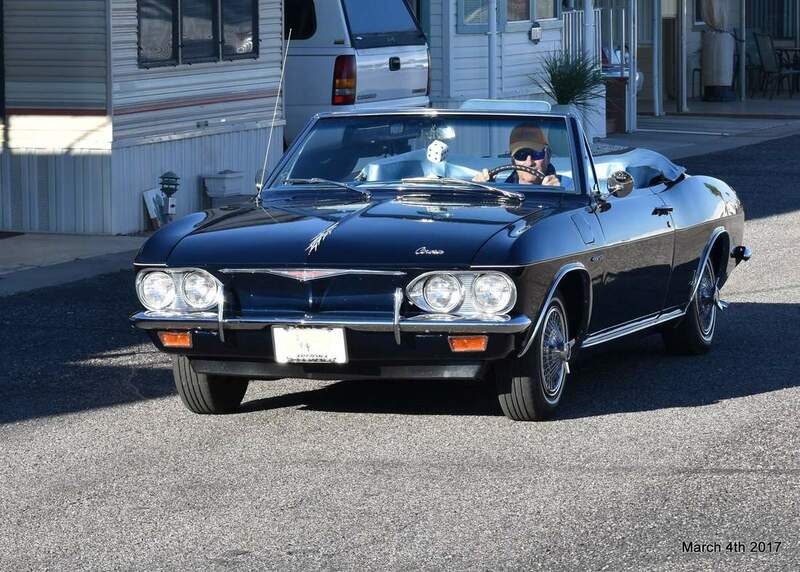 Darin entered the only early model in the event, a very nice 64 convertible. Nancy and Braden were also there with her 65 Monza. Dave and Cathy were there with her 65 Sport Sedan. 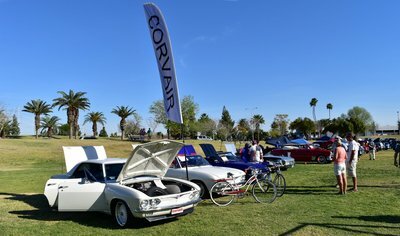 The show stewards allowed us to save some spots for the Corvair entries so we were all able to park together not too far from the trees. 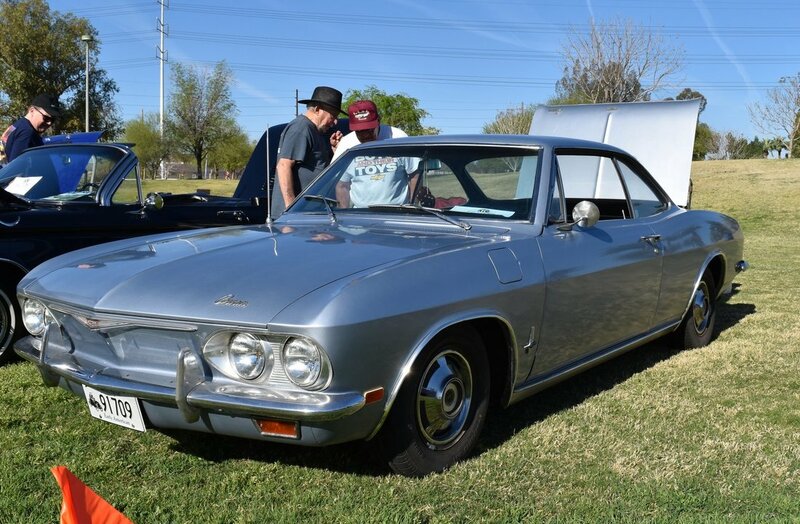 As usual, we had lots of questions about our favorite cars. 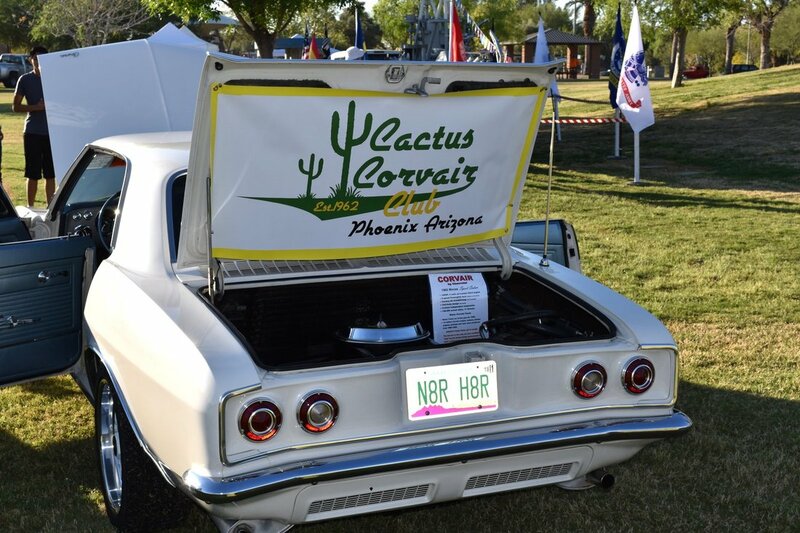 A few members of the club got together and made a combined donation of $250 on behalf of the Cactus Corvair Club. 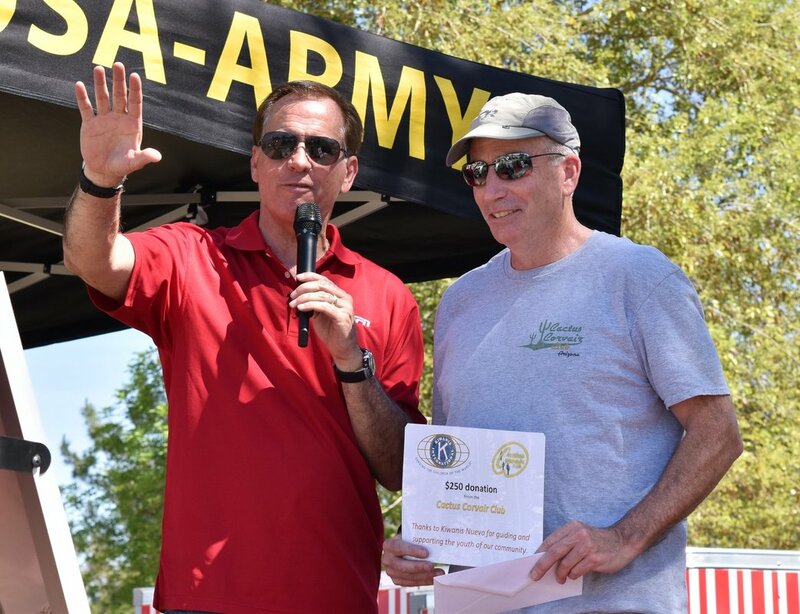 Up on the main stage, Joe presented the donation check to celebrity emcee, Rick DeBruhl. Rick had some very kind words to say about Corvairs and our club participation. 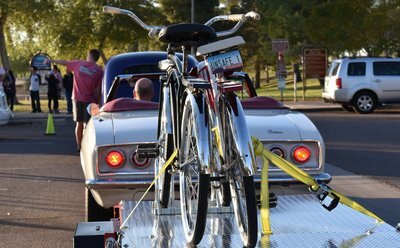 The donation will benefit the Kiwanis Tempe Nuevo organization. 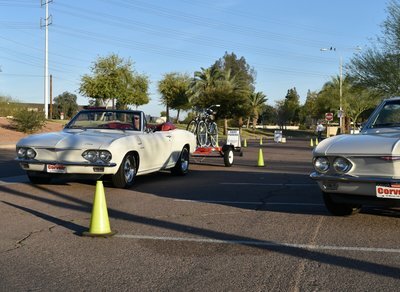 Thanks to all who came out. Hope you had a great time! Caliente Clowns Car Show Florence AZ March 4th 2017 Photos by Dave W.